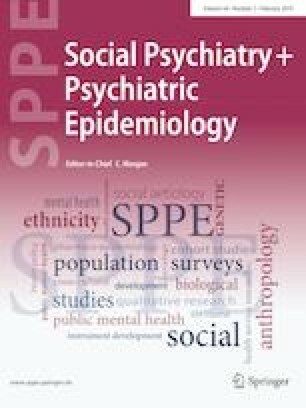 Studies of factors affecting length of stay during psychiatric hospitalization in sub-Saharan Africa are sparse. A better understanding of such factors may lead to interventions resulting in quicker patient stabilization and discharge, freeing up needed psychiatric beds and reducing health care system expenditures. Therefore, we sought to identify factors associated with long length of stay in Malawi. We reviewed the charts of 417 patients hospitalized at Kamuzu Central Hospital’s Bwaila Psychiatric Unit in Lilongwe, Malawi from January 1 to December 31, 2011. Multivariate logistic regression analysis was employed to test for associations between patient factors and long length of stay (defined as more than 28 days). Mean length of stay was 22.08 ± 27.70 days (range 0–243). 21.82% (91/417) of patients stayed longer than 28 days. Long length of stay was associated with living outside of Lilongwe district [aOR: 3.65 (1.66–8.01), p = 0.001] and treatment for antipsychotic extrapyramidal side effects (EPS) during hospitalization [aOR: 3.45 (1.32–9.03), p = 0.012]. Patients who had more interactions with medical providers for this episode of illness prior to presentation at the unit were less likely to have a long length of stay [aOR: 0.35 (0.16–0.76), p = 0.008]. Our findings demonstrate areas of possible intervention to reduce length of stay, including securing means for patient transport home, rapid identification and treatment of EPS, and reducing the risk of EPS by decreased use of high potency first-generation antipsychotics. This work was supported by funding from the University of North Carolina Center for AIDS Research, a National Institutes of Health (NIH) funded program (Grant P30 AI50410). CPCB was supported by a National Institute of Mental Health career development Grant (K01MH100428). KK was supported by an NIH international research training Grant (D43 TW010060). BSB was the recipient of a Fulbright-Fogarty Fellowship in Public Health (2011-12), sponsored through a partnership between the United States Fulbright Program and the NIH through the Fogarty International Clinical Research Scholars and Fellows Program at Vanderbilt University (Grant R24 TW007988). MU was supported by funding from the African Mental Health Research Initiative (Grant DEL-15-01). We thank the administration, patients and staff of the Bwaila Psychiatric Unit, for their assistance with this investigation. We would also like to thank Laura Ball and Travis Tressler for their assistance with data entry.